Make sure your hook placements are not too deep or not too shallow. 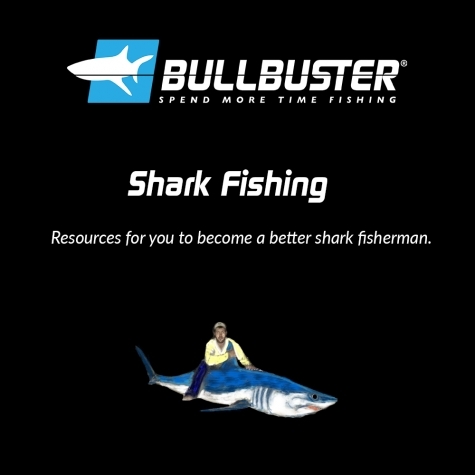 Hook placements is a big deal for shark fishing. Whether you are using a whole ray or a mullet hook placement matters. For my big fish baits I always run one in the lip of my bait, with enough depth to hold with a good yank, but not but with most of the hook showing. For stingrays they have nostril holes I always put one there and one in the back. I think that a picture is worth a 1000 words when it comes to showing learning how to do something, so I have included a few pictures. below that should help. Hope you guys get on the fish and stay tight! Learn about legends who helped create this sport, and legends who are working today to preserve the sport. Below is a video of Rene De Dios a landbased shark fishing legend in the days before anglers in the sport realized catch and release was such an important aspect.